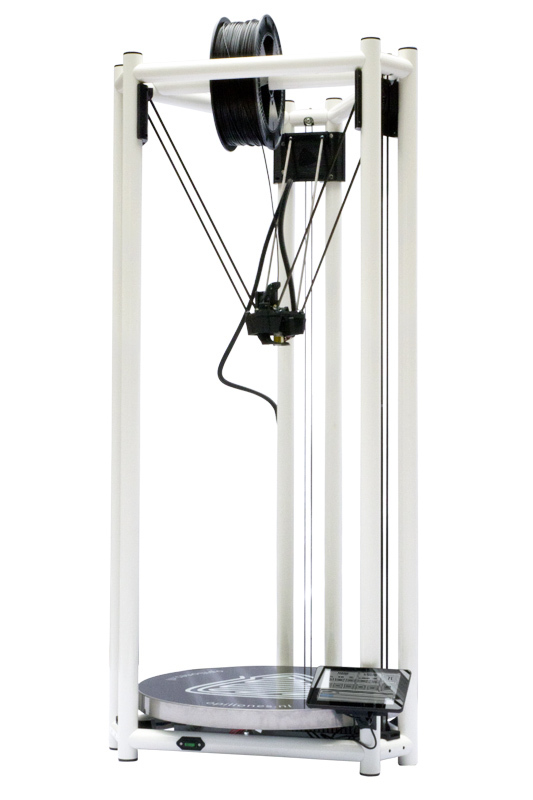 The Opiliones 2L large sized 3D printer makes plastic objects having a size of up to ø 500 x 710 mm. The 2L is ideal for schools, designers, model builders, product designers, prototypers, artists and production companies. The Opiliones 3D printers are developed and manufactured in the Netherlands. 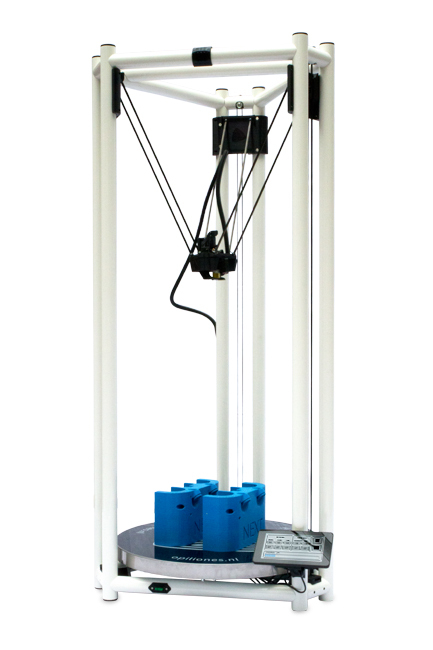 The 2L is the full option model with touchscreen display for standalone operation and 3D printing. Also, the 2L is equipped with an SD card reader for your gcodes and has a heated printbed with a diameter of up to 500 mm! The 2L can also be operated with our Opiliones 3D Repetier Host custom software, tailored for your Opiliones. The direct filament drive together with the heated printbed makes sure that you can handle almost all common filaments.